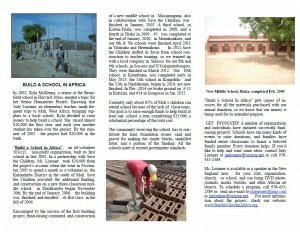 Here is a brochure about Build a School in Africa that you can print out and share. 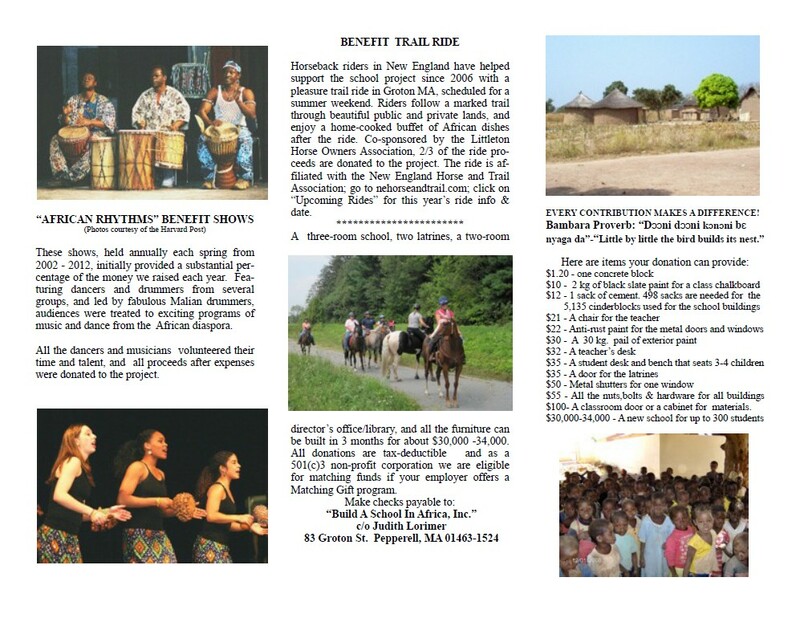 In it, learn about the 14 schools that we’ve built since 2002 and how you can help improve education for children in Mali, West Africa. 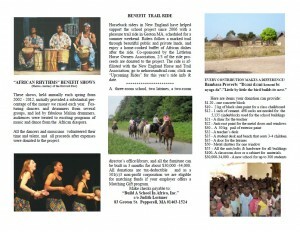 It’s designed to be a trifold, 2-sided brochure. 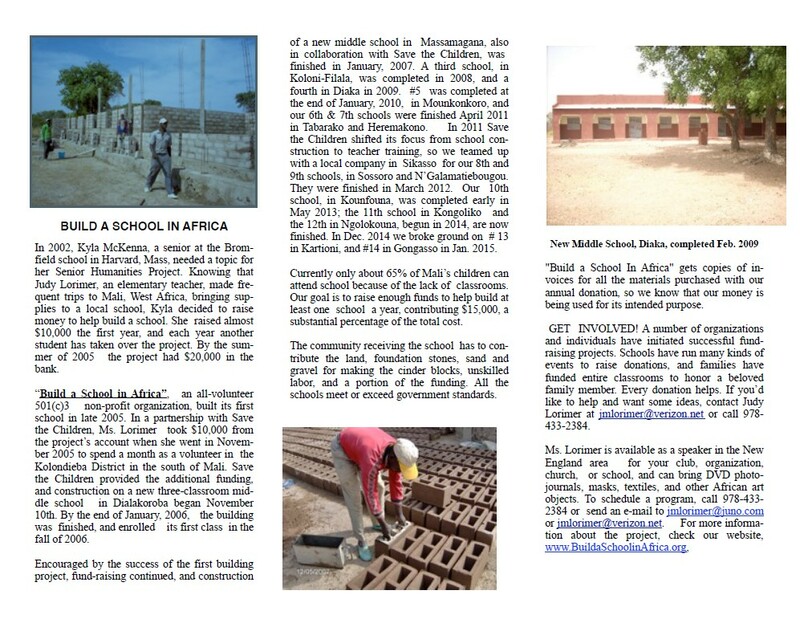 Use it at fundraisers or to tell your friends about Build a School in Africa.